We're a bankruptcy law firm with offices in North Miami, Fort Lauderdale, Kendall and Doral. Chapter 7 bankruptcy is often called the "Fresh Start" bankruptcy. Individuals are generally discharged of many types of unsecured debts such as credit cards, personal loans, medical bills and some judgments. 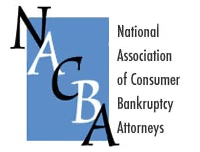 Filing a Chapter 7 bankruptcy immediately stops your creditors from trying to collect. Read more. Chapter 13 bankruptcy is significantly different from a Chapter 7 bankruptcy. A Chapter 13 is a reorganization of debt, allowing debtors to repay all or a portion of their debts through a Chapter 13 plan, while protecting property and personal assets. Read more. Once you have fallen behind on your mortgage, the bank has a right to foreclose on the property. Do nothing, and the bank can sell your house in as little as 55 days! However, the Bankruptcy Law Clinic will aggressively fight for your rights. Read more. Debt settlement is the process of negotiating with your creditors so that you are able to pay off a certain percentage of the debt amount that you owe. We will use different types of strategies to negotiate with your creditors. Read more. Our law firm’s sole focus is on helping people such as you, find financial relief through bankruptcy. Our main attorneys have 15 years experience in bankruptcies. Since 2005 alone, the Bankruptcy Law Clinic has helped more than 1,500 people find financial freedom. No matter how much financial trouble you may be in, there can be a healthier financial life in your future. Because every situation is unique, we would like to invite you for a FREE complimentary consultation. We assist clients with matters related to Chapter 7 and Chapter 13 Bankruptcies, Foreclosure Defense, and Debt Settlement. Most of our staff is bilingual. Te tratamos en español. We fight aggressively for our clients' rights and once you have become our client, we work with you to STOP the creditor phone calls. Remember that the initial consultation is free and without obligation. Regardless of what you decide to do afterwards, you’ll leave our offices with a better understanding of your financial situation, what bankruptcy is and how our law firm can work for you.